We all love Santa Up Close by Kimberly. But the finishing really make it special. 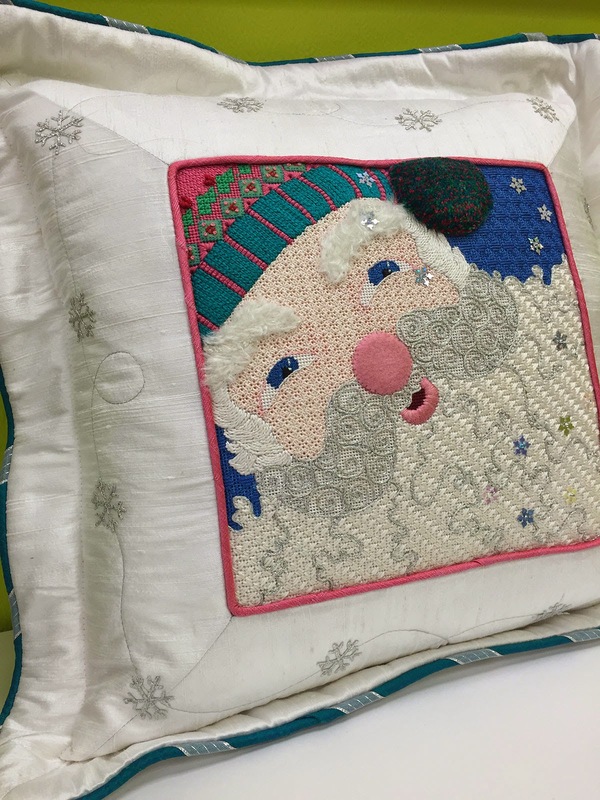 Check out the beautiful embroidery on the edges of the pillow and the contrasting covered cording. So elegant and so in-tune with the design. Truly special. 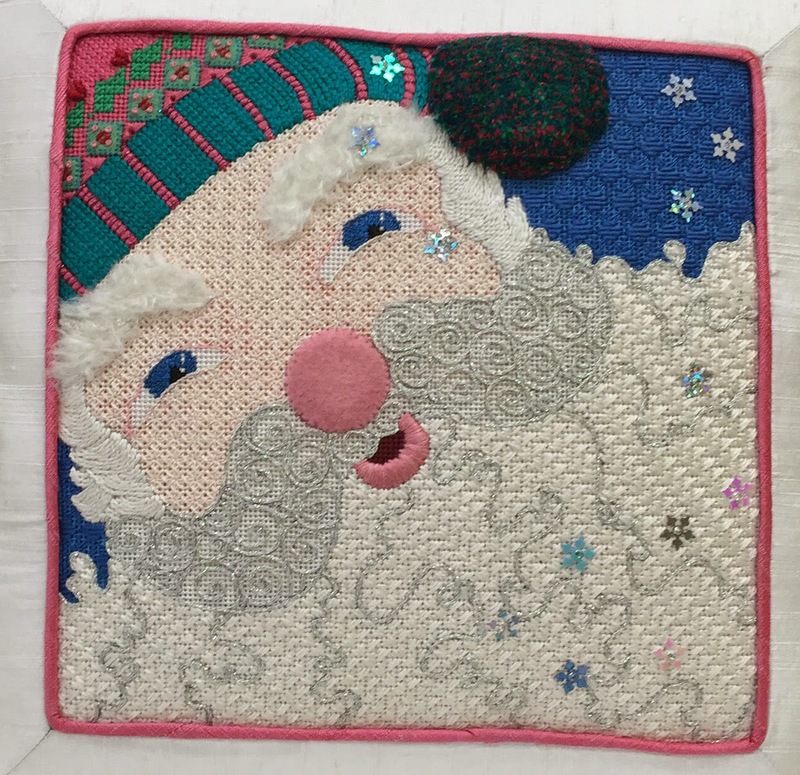 This is a fun piece to stitch and comes complete with stitch guide if you would like a santa of your own. Oh my, you chose very well! He looks so special, you've made him even more magical Ruth! !